Foodservice blenders for bars and restaurants must be durable and long lasting. Busy bars and foodservice establishments can not afford a breakdown in the middle of a busy night and can't afford to replace them every 6 months either. You can trust the restaurant supply superstore for your commercial blenders from Vita Mix, Hamilton Beach, and Waring. Hamilton Beach Polycarbonate Container - 44 Oz. 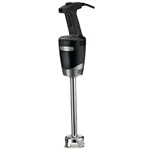 Waring Heavy Duty Quick Stix Immersion Blender - 21 in. Waring Medium Duty Immersion Blender - 10 in. 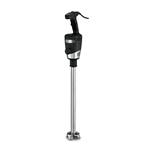 Quik Stik Immersion Blender - 7 in. 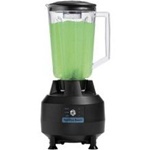 Bar Blender - 44 Oz. Wholesale blenders are durable and strong for busy commercial restaurants to make mixed drinks, smoothies and milkshakes.